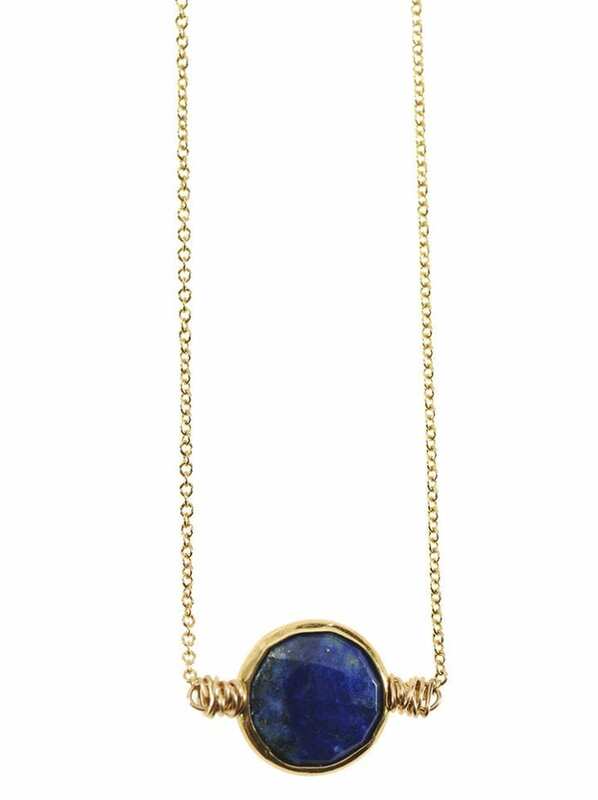 This cluster necklace features 5 faceted iolite pyramid stones. The stones feature 14k gold filled wrapping and are accented with mixed metal beads and chain. The necklace measures 31 inches long plus 2 inches for the cluster pendant drop. While the necklace is only photographed in 14k gold filled it is also available in sterling silver.